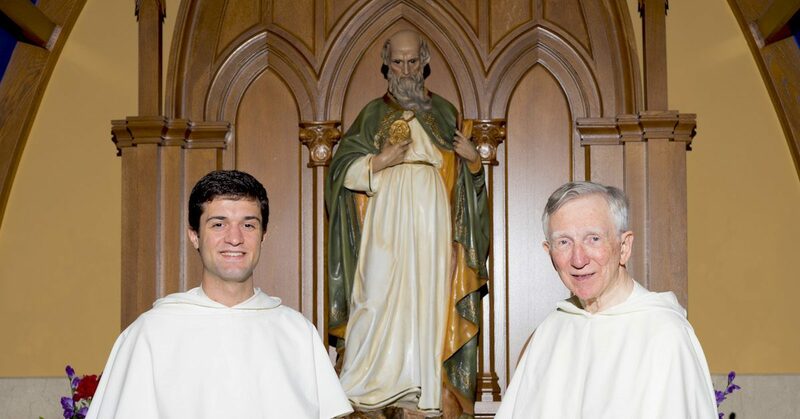 On Saturday, May 19th, Brother Aquinas Beale (pictured left), the Deacon who has been praying for you at the Rosary Shrine of Saint Jude, will be ordained to the priesthood at the Basilica of the National Shrine of the Immaculate Conception together with eight of his Dominican brothers! It is your support of the Rosary Shrine of Saint Jude that has made Brother Aquinas’ and his fellow friars’ long years of formation possible! Because of you, these men will go out into the world as priests to preach the Gospel of Jesus Christ and the special intercession of Saint Jude and Our Lady. As sons of Saint Dominic, they will also hand on the Most Holy Rosary to a generation profoundly in need of hope and spiritual protection. Your donations also provide for retired friars like Father Matthew (right) who continue to keep you and your loved ones in their prayers. Please consider making a donation to the Rosary Shrine of Saint Jude during this special time. Even as these nine men become priests, we plan on accepting one of our largest classes of student brothers in 50 years this August. It is through you that Saint Jude has been supporting the Dominican Order during this boom in vocations!